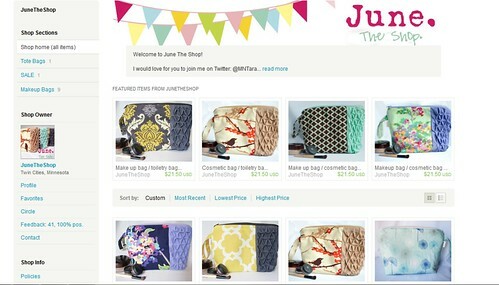 Sloanbook: Makeup Bag Review from June.The Shop + Discount code for you! Makeup Bag Review from June.The Shop + Discount code for you! Remember my sponsor, Tara from June.The Shop? Well, she wrote a little guest post on my blog here! I'm so glad to have her as a sponsor! She is the sweetest! 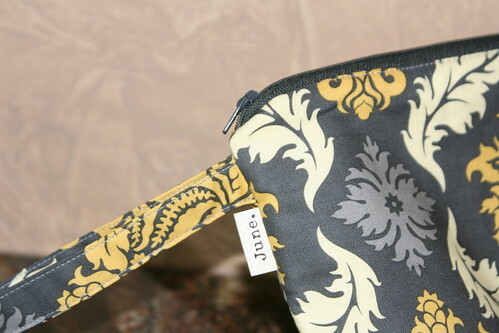 Tara has the cutest line of makeup bags found on her Etsy site, June.The Shop. 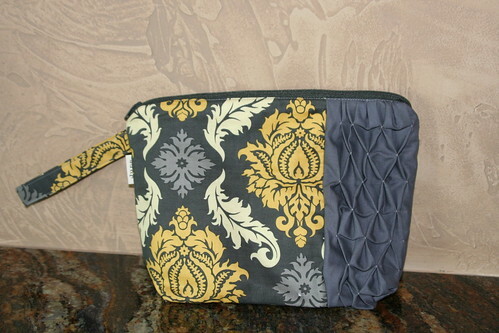 Her shop is filled with fun and colorful patterned makeup bags and totes. Here I am with one of my favorites! Isn't it darling? It just makes me happy! 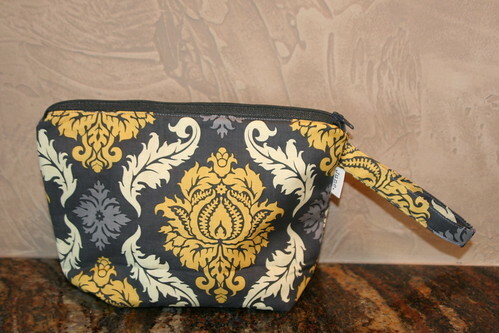 It is the perfect makeup bag to toss your makeup essentials in for a trip or to toss in a larger purse! I don't know about you but I always lose my things in huge purses :) I'm sure some of you can relate. 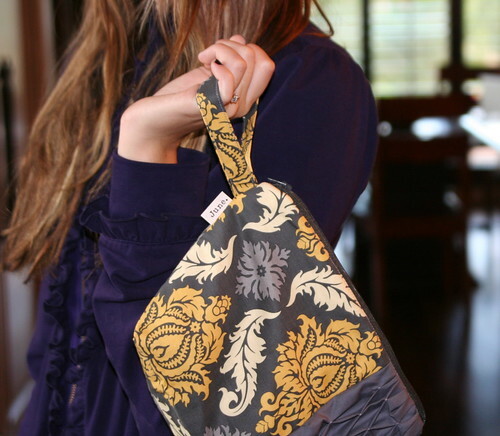 If you have little kiddos, it is perfect to throw in a diaper bag! This bag is the perfect size. 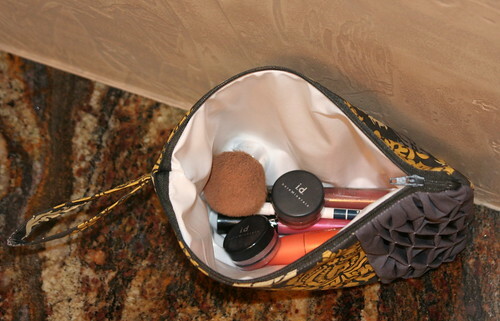 It is not gigantic or too small but is very spacious and can hold lots of makeup or whatever you'd like! It measures at 10.5'' tall by 6.5 '' wide and is 3'' deep. Wipeable, Waterproof PUL lining to help contain those messes and liquid eyeliner leaks! So, I hope you take a look around June. The Shop on Etsy here! 2) Tara has graciously offered a discount code to my readers! You get 15% off any of the items in her shop! 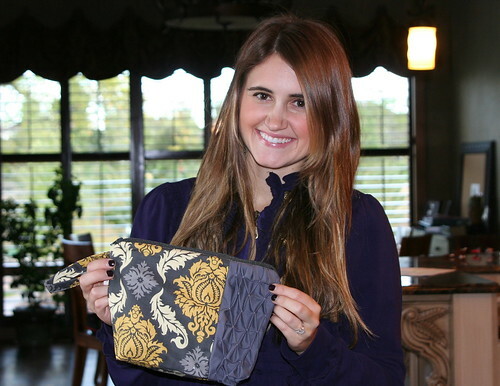 Take a look at her shop and purchase a bag for an upcoming birthday or Christmas present! Oh that is sooo cute!! I LOVE the one that you chose! super cute :) one of my favorite color combos! Such a cute purse! 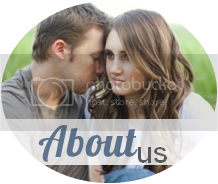 Found your site through the blog hop - love it!